Every discipline at a university requires students to use a discipline-specific style and voice. Style and voice are closely linked to ways of thinking and acting in each discipline. Although there are generic rules about formal academic styles of writing or expressing yourself using a non-biased tone, academics and professionals in different disciplines have various approaches to style and voice. These approaches and rules often become evident if you pay attention to how authors express themselves in texts; your lecturers and tutors also demonstrate their style and voice in class and in on-line discussions. 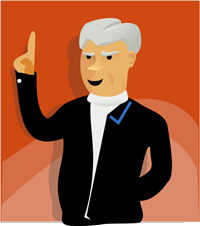 Check your faculty resources for more discipline-specific information on style and voice. The skill of integrating source material and maintaining your voice amongst the many voices of authors used to support your work develops over time. The distinction between your voice and others’ voices is part of academic integrity, so your reader and listener must always know when you are using other people’s ideas to support arguments in your assignments, theses and exam papers. When you read for your assignments and exams, pay attention to the style and authors’ voices in your particular discipline. To develop your voice, take notes of your own ideas while reading for your assignments and exams. Be systematic from the start – record and save what you have read to ensure the distinction between your voice and others’ ideas in your assignments is clear. Who can help with academic literacy at Monash?